Property 9: Variety of everthing in 1 place! Experience the Good Life in the Caribbean, at an AWESOME Deal. Property 13: Experience the Good Life in the Caribbean, at an AWESOME Deal. 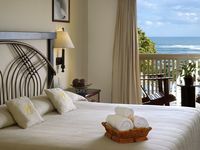 Property 16: Junior suites at all inclusive resort! Your Tropical Dreams Come True! Property 31: Your Tropical Dreams Come True! Junior Suite / Confresi Lobby / Life Style Vacations / Can Rent at any time. Property 37: Junior Suite / Confresi Lobby / Life Style Vacations / Can Rent at any time. All Inclusive 1-2 Bedroom Presidential Suite! Property 47: All Inclusive 1-2 Bedroom Presidential Suite! Property 48: Deluxe Beashside Suite - Lifestyle Resort- Chairman's Circle- VIP Gold Bands! I can't wait to go back everything was fantastic.. Beautiful place with friendliest people I have ever met... I loved it..